I’m not sure I can do this - have I taken on too much? Sound familiar? Learn how to overcome “impostor syndrome” and navigate those nagging feelings of fear and self-doubt to achieve your full potential. 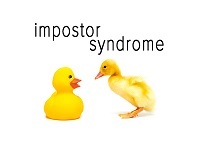 In this session we’ll look at what impostor syndrome is and why it affects so many people, as we come to understand the impacts of fear of failure, perfectionism and our people-pleasing tendencies. We’ll dive deeply into the subject and work on practical tips to help build self-efficacy, resilience and develop strategies to deal with those feelings of fear and inadequacy that you can take away and apply to your life.